Who says these Easterly winds are unbirdable? Old 'South-Easterly Steve' of Axe Birding fame, that's who! 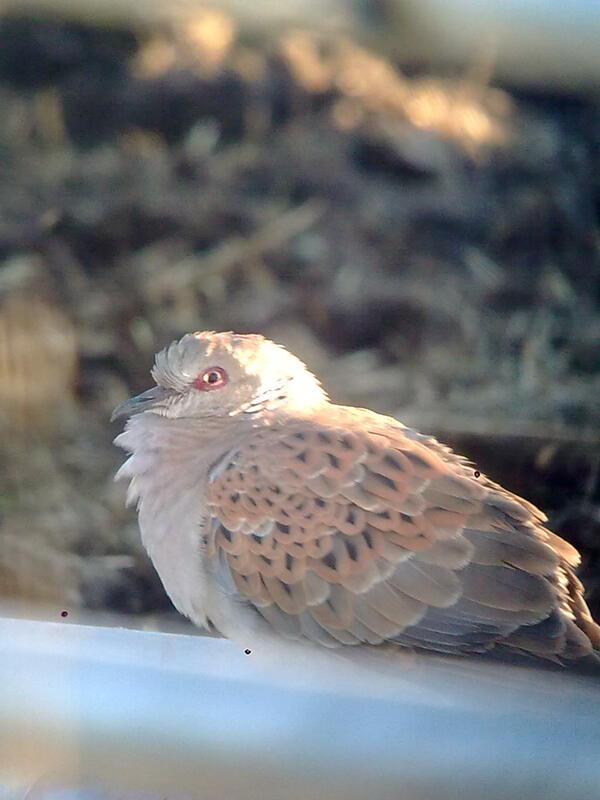 All I had to do was cycle from Colyton to Colyford along Cownhayne Lane yesterday and I found my first Coly area Turtle Dove by the A3052 at 'Cow and Gate'. Phil Abbot was the only local birder free to join me before the bird flew off over Colyford but I think he got some good pictures. Along the lane I had Chiffchaff, Mipits and my first Redwings of the Autumn, flying up the Axe valley. Easterly winds? I love 'em!